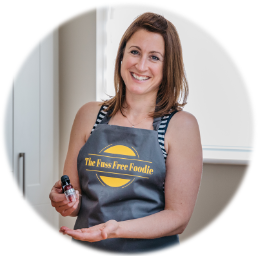 As some make their way directly into our kitchens, others are destined for a different journey. Pressed for cider! Apple harvest varies depending on the apple varietal but can start as early as August and continue through October. It’s a process I was a little unsure of until I recently visited my first cider mill. But not a day with dappled sun, more like autumn rain!! If you were thinking of starting your own commercial cider business, you need a minimum of 100 acres of orchards. You would need a mix of cider and eating apples to create a single varietal or a blend with the right taste profile. Everyday eating apples bring a sweetness and the cider apples provide the tannins. Tannins add that dry aspect you find in cider. With this in mind you would take this into consideration when creating your cider styles. 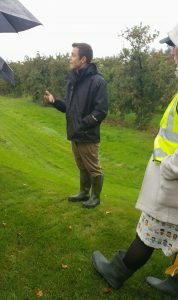 I learnt this from Chris, orchard manager who manages the 460 varieties of apple trees for Thatchers. Myrtle Farm which is based 1/2 an hour outside of Bristol! You could be forgiven to for thinking that apple picking would be the perfect student summer job. Lovingly pulling an apple from each branch! But only 1 or 2 people manage the harvest process as ‘windfalls’, (fallen apples) are vacuumed up by a machine. For apples who aren’t quite ready a machine with a mechanical arm comes and attaches to the tree; Then it gives it a jolly good shake to encourage their departure! The orchards at Myrtle farm provide a third of all the apples used in Thatchers cider. The rest are provided by farms within a 100 miles. The farmers who bolster the apple quota are well looked after; Gaining bonuses for apples delivered clean and with a low starch content which means they contain more sugar! Quality and freshness are really important for great tasting cider. 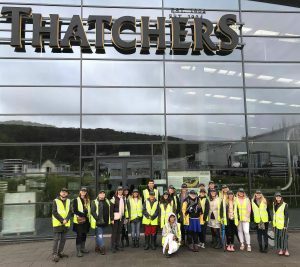 Although Thatchers may not have the largest commercial cider plant in the UK, it is the most state of the art. Water rapids, rolling conveyor belts, stainless steel pipes, vats and filtration that looks like a jars of spaghetti . 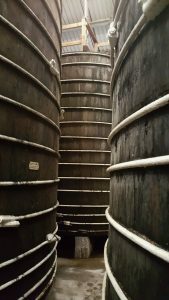 For a lucky 135, 000 pints will rest in their 150 year old oak vats which were a thing of beauty! In an age of reducing plastic and environmental impact, Thatchers are also ahead of the game. Setting the bar to eliminate the plastic around cans altogether they are now opting for cardboard packaging. But did you ever notice a can not facing the right way in its pack? You won’t! There’s a clever machine to make sure they are all faced out and looking sharp!! 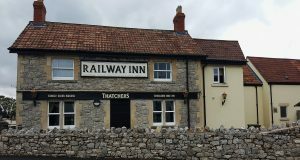 In homage to our day touring the cider mill (and not to mention visiting their family-friendly restaurant The Railway and worth a visit any day of the week! ), I felt I wanted to create a dessert that paid homage to the humble apple. Getting my hands on some actual Thatchers apples’ from the orchard (with permission of course!) I wanted to create a recipe that lets apples sing. 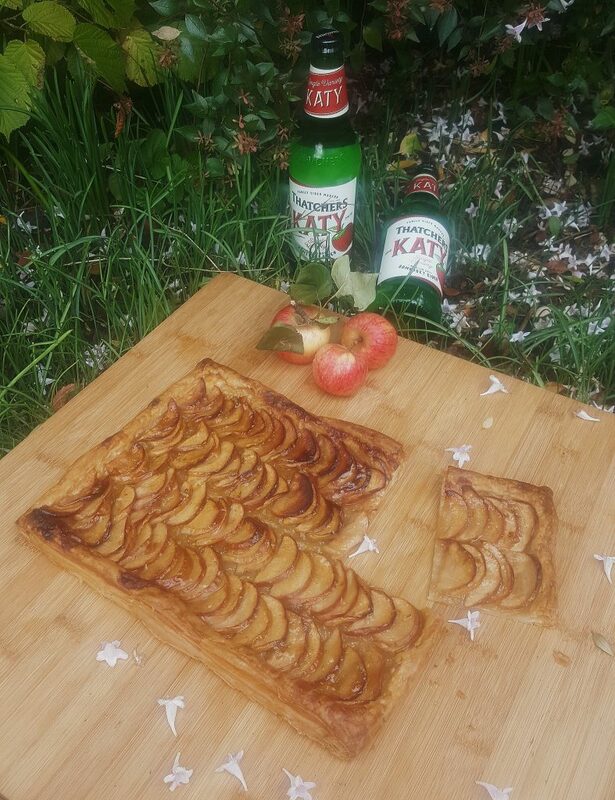 So here is my fuss-free take on a simple classic French apple tart. 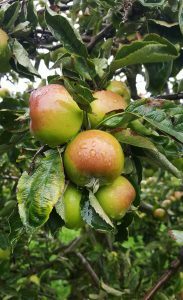 You don’t have to use Thatchers apples, you could use your favourite firm and flavoursome English variety, like Russets or Braeburns. Put the lemon juice in a bowl. Core the apples and cut in half, and thinly slice the apples into half moon. As you core, cut and slice the apples, add them to the bowl and roll them through the lemon juice. When completed add the sugar to the bowl and mix it all in with your hands. Lay the puff pastry out on a lined tray. Leaving a border of approx. 1 cm arrange a vertical row of apples, overlapping the apples slightly as you work down the pastry. Depending on the size of your apples, you should get at least 3 or 4 rows. When you add a new vertical row of apples, overlap it slightly over the previous row. Trim the final side of pastry to ensure an even sized crust all the way around. Brush the apples and pastry with the melted butter. Place in the oven for 45 minutes and cook until golden and the pastry is brown underneath. Serve warm, or equally is great cold and transportable for lunches and picnics.